A bird life list can enhance the birdwatching experience. Author Rick Chapo discusses the types of entries and methods for keeping life list of the birds you see. A bird life list is a record of the species of birds you've sighted over time. Typically, the list is kept in a journal. Each entry notes the bird species, the date, location and any notes you want to add. Depending on your particular bird watching exploits, you can keep one global list or separate lists as you see fit. 1. 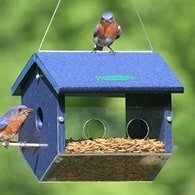 House Lists - birds sighted around your home. 2. Yearly Lists - for each year you bird watch. 3. State Lists - sighting for particular state. 4. 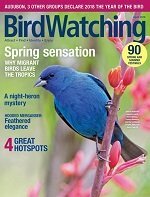 Trip Lists - Journals for particular bird watching vacations or tours. 5. 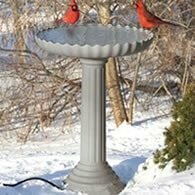 Wish Lists - A list of birds you haven't seen, but hope to. You simply cross them off as sightings occur. Computer Life Lists, you can purchase computer life list programs or use online variations. Each program is different, but most come in a checklist format. You enter information and the program spits out your list. The problem with using computer programs is well, the computer aspect. Unless you are willing to lug a laptop around with you, there is going to be a delay between sightings and your journal entries. Using a computer program is also troublesome if you want to keep a collection of sketches of particular species you've identified. For most birders, a computer list is a supplement to a good journal, not a replacement. Bird watching is an extremely personal passion. If you're just starting, you may think you don't need to keep a list. The problem with this approach, of course, is you will regret the decision if you later decide to do so. All those sightings will be gone with time? If you're going to start bird watching, make sure you keep a bird life list journal from the outset. As I like to say, Preserve the experience! If you've never started a bird watching life list, begin today in your own backyard. 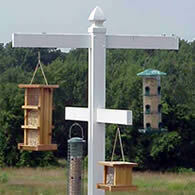 Invite more birds to your yard by adding several different feeders with a variety of seed types. 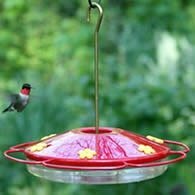 You'll be surprised at just how many different types of birds can be found in your own backyard. It's amazing, when you begin to feed birds you'll find out that there can be 20 to 30 different species visiting instead of the three you thought. If you stop using the cheap seed you'll stop getting just House Sparrows and start see native species instead. Once you begin taking notes and adding the birds to your life list, you can begin expanding your list by taking trips to nearby parks, golf courses, even your friends homes. Rick Chapo is with Nomad Journals.com - Makers of bird watching journals. Read more bird watching articles at NomadJournalTrips.com.